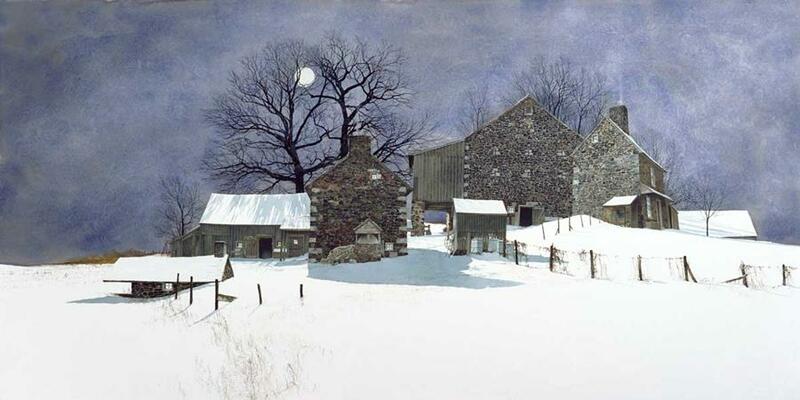 Hilltop Farm by Peter Sculthorpe to benefit Good Works. 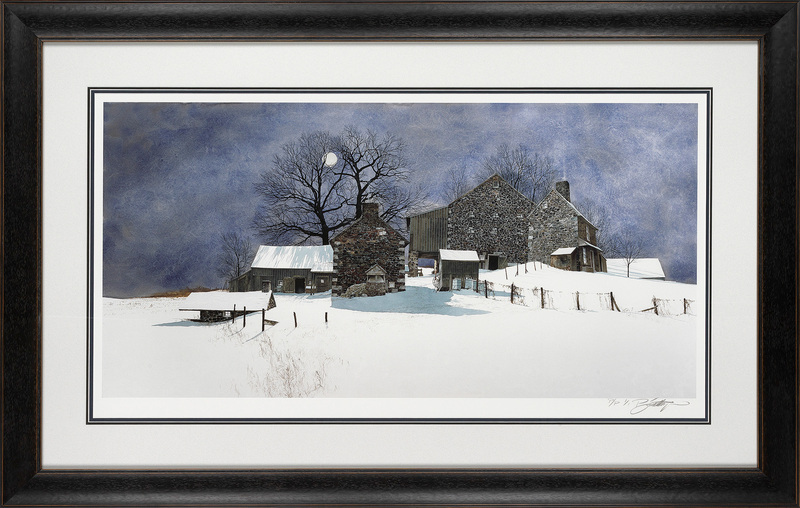 In collaboration with artist, Peter Sculthorpe, Brilliant is pleased to auction a framed giclée printers proof of his stunning winter scene, Hilltop Farm. All proceeds from this auction will be donated to Good Works, a Chester County organization dedicated to repairing homes for low-income homeowners. 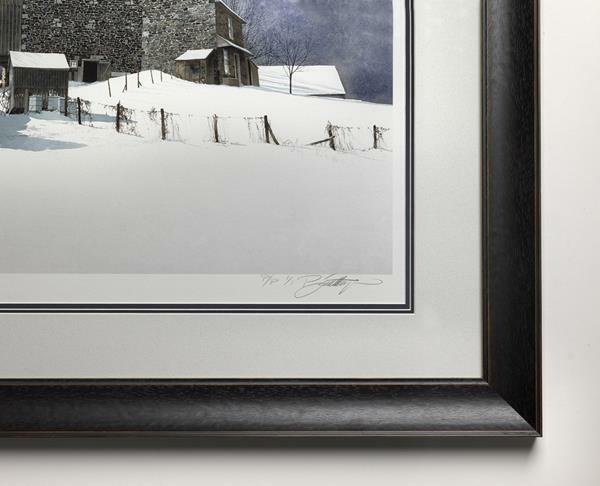 A sense of place is such an important element in Peter Sculthorpe’s work. By bidding on Hilltop Farm, you will enable Good Works to bring the peace and tranquility that fill this Sculthorpe scene into the lives of our neighbors most in need. Together we can turn substandard living conditions into meaningful places. 20″x40″ signed unique giclée printers proof on the finest archival paper. Proofed with the artist to ensure stunning reproduction. After gathering most of the personal and important elements together that have made such an impression on me about Early Domestic American Architecture, I wanted to express the epic within the ordinary in this watercolor of a quintessential little farm on a hill. Good Works is a faith based nonprofit organization, founded in 1988, and dedicated to repairing homes and restoring hope for low-income homeowners in Chester County, PA. They provide families living in substandard housing with repairs to make their homes warmer, safer and drier. Don’t miss your chance to own this beautiful piece! Bidding ends on February 8, 2017 at 4:00 pm EST.